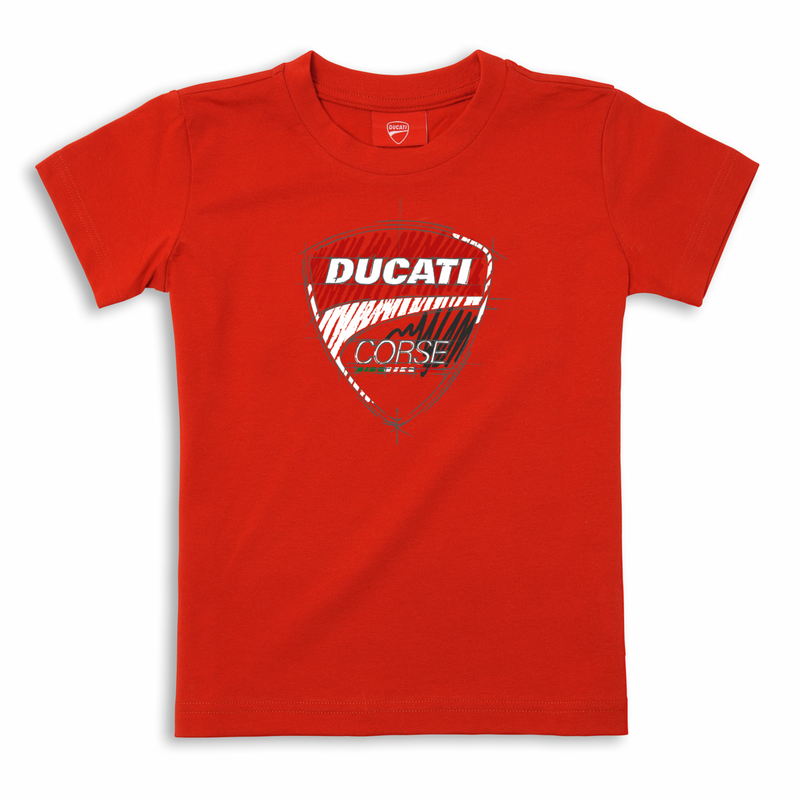 A clean, vivacious look distinguishes the new Ducati Corse T-shirt for kids. The plastisol logo on the front replicates a special interpretation of the Ducati Corse logo. Made in cotton, it's the perfect T-shirt for little fans.